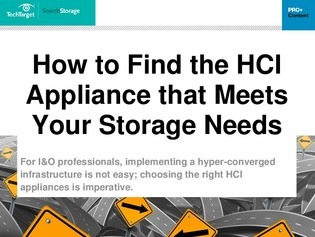 Oftentimes, selecting the right hyper-converged infrastructure (HCI) for your enterprise is far from straightforward. To help you with the HCI selection process, we’re sending you this 4-part e-book that includes 66 pages of expert insight on the benefits HCI will bring to your organization, questions to ask when selecting an HCI vendor, and finding the right HCI for your needs. Download here.